Islam is the world’s largest and fastest growing religion. Islam has given the world great artistic and architectural contributions. There are many Muslim sacred sites that are popular for pilgrims mostly located in city Makkah and Madina and other tourists alike. In this article we are going to share you some of the most sacred sites of Muslims. 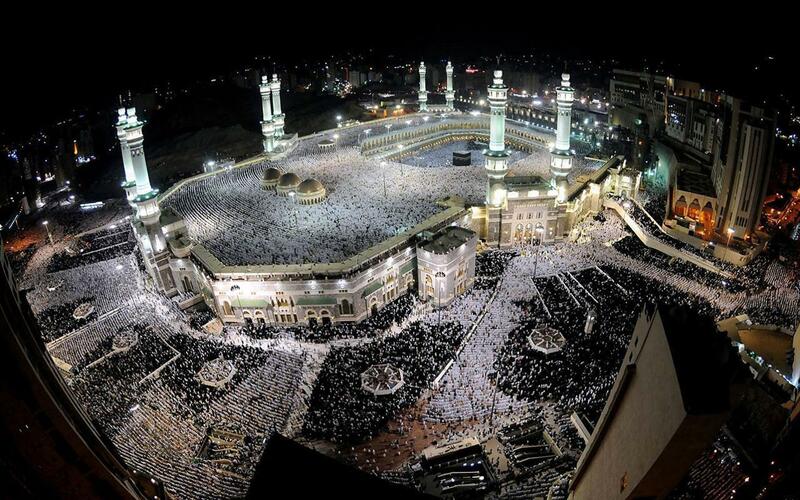 The Grand Masjid or the Al-Masjid Al-Haram is the holiest site for all the Muslims in the world. Masjid-ul-Haram is the largest Masjid in the world; Millions of pilgrims from all around the world visit the city Makkah in Saudi Arabia every year. Masjid-ul-Haram covers an area of 356,800 square meters, during the period of Hajj about 2 million people worship in the Masjid and it is the largest gathering of people for worship anywhere in the world. After Masjid-ul-Haram, The second holiest place in Islam is the Prophet’s Mosque or Al-Masjid an-Nabawi and it is situated in city Madina. It was built by Prophet Muhammad (PBUH) and is now considered one of the largest mosques in the world. It is open throughout the whole year and is a sacred destination for pilgrims who perform the Hajj or Umrah. Masjid-Al-Aqsa is the third most sacred site in Islam and is situated in the Old City of Jerusalem. Masjid al-Aqsa is the Qibla mosque or the Dome of the Rock and is also known as Bait al-Muqaddas (House of the Holiness). It was here that in around 621 CE the Prophet Muhammad (PBUH) came on the night journey (Mairaj) from Makkah riding on the Buraq. Imam Ali is situated in Najaf, Iraq and is the third holiest site for the Shi’a category of Muslims; it contains the tomb of Hazrat Ali (RA). Every year millions of pilgrims visit this Holy place and pay tribute to Hazrat Ali (RA). Masjid Qubbat As-Sakhrah is also well-known as Dome of the Rock and is situated on the Mount in the Old City of Jerusalem. It is considered the most controversial piece of property in the world as it is the sacred place of Jews, Christians and Muslims. The debate is over the foundation stone inside the structure that is the rock under the dome. The Great Mosque of Djenne is located in Mali, is a mud brick building that is considered an architectural success of the Sudano-Sahelian architectural manner. It is situated in the flood plain of the Bani River in the city of Djenne. The recent structure was built in 1907. It is a world heritage place and one of most renowned landmarks in Africa. The Masjid-e-Quba lies on the outskirts of Madina where the Prophet (PBUH), accompanied by Hazrat Abu Bakr (may ALLAH be pleased with him) arrived and first stayed after emigrating from city Makkah, it is a very holy site for Muslims. They arrived on 12th Rabi al-Awwal, fourteen years after the Prophethood and this date marks the beginning of the Islamic calendar (Hijra). The first stones of the Masjid-e-Quba were laid my Prophet Muhammad (PBUH) himself as soon as he arrived on his emigration from Makkah to Medina. A masjid was established here by the Prophet (PBUH), the first to be built in Islam. The Sultan Ahmed Masjid was completed in 1616 in Istanbul, Turkey. It is famous popularly as the Blue Mosque for the exquisite blue coloured tiles that beautify its interior. It is a famous visitor destination in Istanbul and one of the sacred sites for Muslims around the world. The Sultan Ahmed Masjid continues to function as a masjid in the present day; men still kneel in prayer on the masjid’s lush red carpet after the call to prayer. Selimiye Mosque is situated in Edrine Turkey and was completed in the year 1575 in the Ottoman tradition. It was specially made by Sultan Selim II and designed by architect Mimar Sinan. It is considered as a masterwork of Islamic architecture in the world. The masjid complex contains a hospital, library, baths, school and a medresse. The Hassan II Mosque is situated in Casablanca Morocco. It was completed in 1993 and it is the 7th largest masjid in the world. Its minaret is about 210 meters tall which makes it the world’s tallest minaret. The masjid can host 105,000 worshipers at one time. “We have certainly seen the turning of your face, [O Muhammad], toward the heaven, and We will surely turn you to a qiblah with which you will be pleased. So turn your face toward al-Masjid al-Haram. And wherever you [believers] are, turn your faces toward it [in prayer]. Indeed, those who have been given the Scripture well know that it is the truth from their Lord. And ALLAH is not unaware of what they do”. Umrah is a sacred journey to Makkah and not mandatory in Islam religion but Umrah is very important in the life of Muslims. With aim to provide the pilgrims with the best and complete Umrah services, we now offer our customers reasonable and Cheap Umrah Packages 2018. So you don’t miss a chance and visit us to get the deals.